Update: Martin Landau died on July 15, 2017 at the age of 89. Academy Award-winning actor and octogenarian senior citizen Martin Landau was born in Brooklyn, New York on June 20, 1928. Landau had begun a career as a cartoonist at the age of 17, and worked in the art department at the New York Daily News. By age 22 Martin Landau had decided to concentrate on acting, giving up his career as a cartoonist. He studied at the New York Actors Studio; his contemporaries and friends were James Dean, Steve McQueen, Marilyn Monroe (whom he briefly dated) and a younger actress going by the professional name Barbara Bain (nee Mildred Fogel). In 1957 Martin Landau and Barbara Bain married and both went on tour with the Broadway play Middle of the Night, settling permanently in Hollywood permanently when the tour ended. Landau's big-screen career began that same year in his first movie, Pork Chop Hill (1959) as Lieutenant Marshall; the movie's stars included Gregory Peck, Rip Torn, George Peppard (Banacek), Gavin MacLeod, Robert Blake, and Harry Dean Stanton, among others. This was quickly followed by a part in the classic Alfred Hitchcock movie North by Northwest (1959), starring Cary Grant and Eva Marie Saint. Martin Landau's movie career was launched; he went on to appear in another 80+ movies. Martin Landau and Bain's first daughter, Susan Meredith Landau, was born August 1960; she is a producer and sometimes goes by her married name, Susan Finch. Their second daughter, actress/director/producer Juliet Landau (b. March 1965), is best known for her role as Drusilla on the cult classic television series Buffy the Vampire Slayer and the spinoff series Angel. In the 1960's Martin Landau appeared in 8 movies, notably the historical epics The Greatest Story Ever Told (1965) with Max Von Sydow, Dorothy McGuire, Carroll Baker, Angela Lansbury, David McCallum (The Man From U.N.C.L.E. ), Sidney Poitier, Robert Blake, Charlton Heston, and many others. On the set of Cleopatra (1963) starring Richard Burton and Elizabeth Taylor, Landau said he observed first-hand the burgeoning love affair with Burton and Taylor on their first movie together. Both were married to other people at the time. Landau also appeared in two westerns with actor Brian Keith - Nevada Smith (1966) with Steve McQueen, Karl Malden, and Suzanne Pleshette; and the comedy The Hallelujah Trail (1965) starring Burt Lancaster, Lee Remick, Jim Hutton, and Pamela Tiffin. In The Hallelujah Trail, Landau played an Indian called Walks-Stooped-Over. 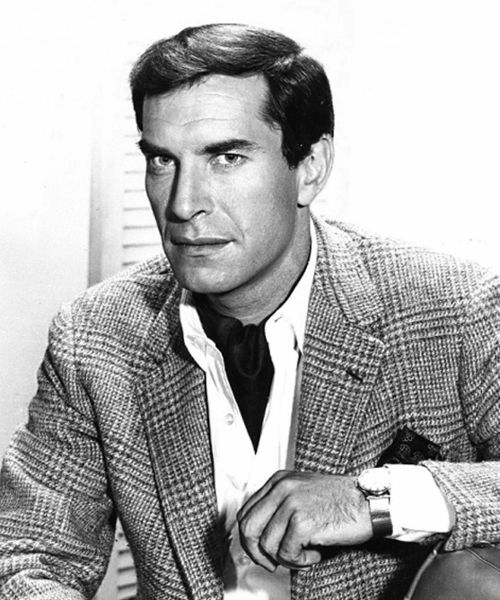 During the 60's, 70's and 80's, Martin Landau often appeared in episodic television work on popular baby boomer television series such as The Twilight Zone, Mr. Novak, and Get Smart. Landau and his wife Barbara Bain both appeared in starring roles in the very popular television series Mission: Impossible from 1966-1969, along with co-stars Greg Morris and Peter Graves. Landau was "man of a million faces" Agent Rollin Hand and Bain was model Cinnamon Carter. Both Landau and Bain both left Mission: Impossible over a salary dispute, but not before Martin won a Golden Globe Best Actor Award and was nominated for a Primetime Emmy Award for Outstanding Lead Actor in a Drama series, in each of the three seasons he appeared on Mission: Impossible. 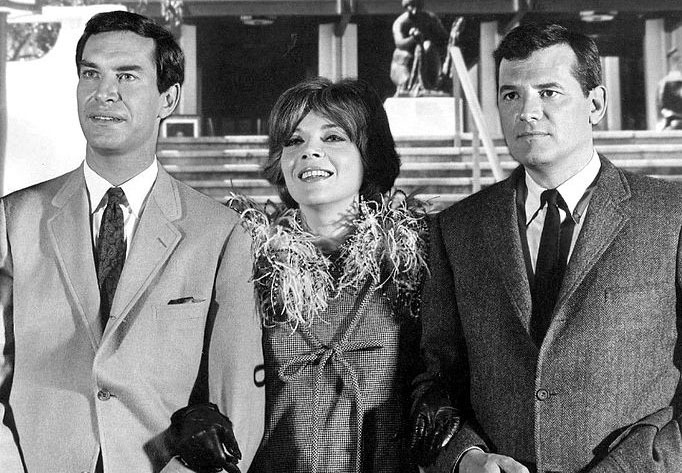 Below from left, Martin Landau as Rollin Hand, his wife Barbara Bain as Agent Cinnamon Carter, and Steven Hill as Daniel Briggs on Mission: Impossible. The early 1970's saw Martin Landau appearing in respected movies such as They Call Me Mister Tibbs! (1970), starring Sidney Poitier. Just before turning the corner into his 50+ years in 1978, Martin Landau and wife Barbara Bain once again co-starred in a television series, the now cult-classic, Space: 1999 (1975-1977). 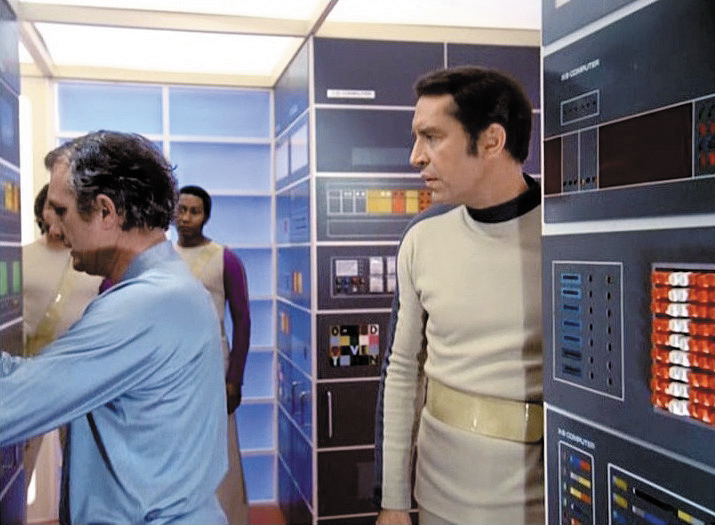 Below, a Martin Landau as Commander John Koenig in a scene from Space: 1999. The sci-fi disaster movie Meteor (1979) was a bump up as it had an all-star cast including Sean Connery, Natalie Wood, Henry Fonda, Karl Malden and Brian Keith. The Return (1980) starring Cybill Shepherd, Jan-Michael Vincent, and Raymond Burr (Perry Mason). The Being (1983) co-starring José Ferrer, with Dorothy Malone (Peyton Place), and Ruth Buzzi (Rowan & Martin’s Laugh-In). Martin Landau was cast as the Voice of Walter Winchell/Abe Karatz in Tucker: The Man and His Dream (1988) starring Jeff Bridges. The movie was disappointing financially but was a critical hit, with Landau earning an Academy Award nomination for Best Supporting Actor, and winning the Golden Globe Award. Tucker: The Man and His Dream was a turning point for Landau, as his movie appearances began to diverge from the horror and sci-fi to more mainstream movies. 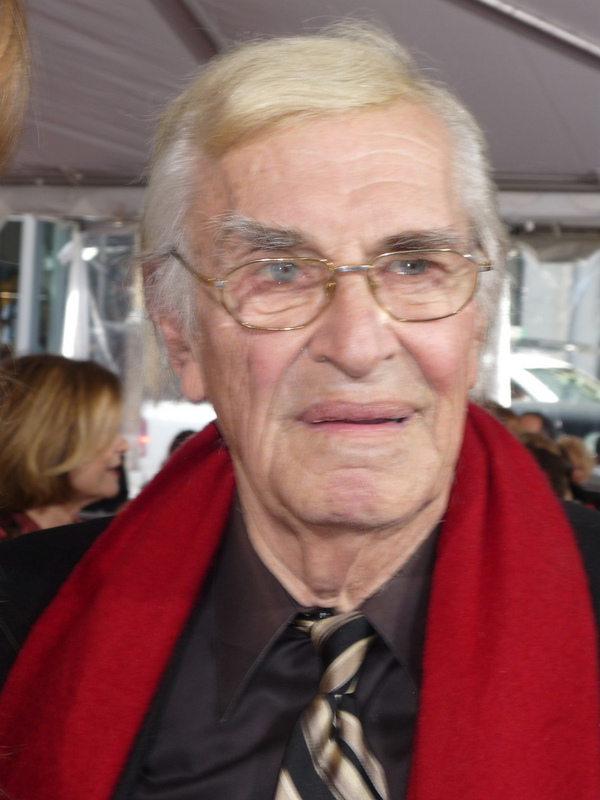 His portrayal of Judah Rosenthal in Crimes and Misdemeanors (1989) earned Landau another Academy Award nomination for Best Supporting Actor. During the 1990's Martin Landau picked up the pace of his big-screen appearances, showing up in 24 movies in 10 years, most of them after he became an official senior citizen in 1993. That same year he and Barbara Bain divorced after 36 years of marriage - the last 10 or so of which they were separated, according to a 1996 People article; they remained neighbours and friends. Veteran actor Christopher Plummer and Martin Landau appeared in their first movie together in 1991, the sci-fi thriller Firehead; young actress and future screenwriter Gretchen Becker also appeared in the movie, her first with Landau. The next year, Becker and Landau once again appeared in a movie together, Mistress (1992). Christopher Plummer and Martin Landau have since appeared in the animated movie 9 (2009), and as octogenarian senior citizens, friends, and Holocaust survivors in the excellent Canadian-German thriller Remember (2015). In Ed Wood (1994), Martin Landau portrayed silent movie and horror film star Bela Lugosi so convincingly he won the Golden Globe, Screen Actors Guild, and Academy Awards for Best Supporting Actor. Girlfriend Gretchen Becker attended the ceremony with Landau and his daughters. Landau's daughter Juliet Landau played Loretta King in Ed Wood with her father, and his girlfriend Gretchen Becker made her third appearance in a movie with him. This Ed Wood movie trailer features Johnny Depp and Martin Landau. Ed Wood director & producer Tim Burton proceeded to cast Martin Landau in several movies, including a cameo appearance in Sleepy Hollow (1999) alongside his other favorite actor Johnny Depp, and in the animated features 9 (2009) and Frankenweenie (2012). As the 1990's came to an end, Martin Landau appeared in the feature films City Hall (1996) starring Al Pacino, John Cusack, Bridget Fonda, and Danny Aiello; The X-Files (1998) starring David Duchovny, Gillian Anderson, and Blythe Danner; and Rounders (1998) starring Matt Damon and Edward Norton. The year after becoming a septuagenarian senior citizen in 1998, Landau picked up his movie-acting pace, appearing in 5 movies in 1999, including the cult movie comedy EDtv (1999) starring Matthew McConaughey. 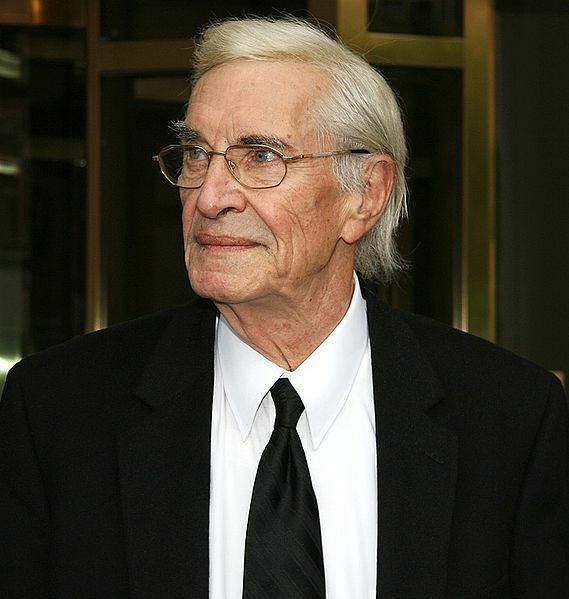 Television guest appearances on Without a Trace (2004-2006) and Entourage (2006-2008) earned Martin Landau more Prime Time Emmy Award nominations as Outstanding Guest Actor in a Drama Series. On Without a Trace, he portrayed lead character Jack Malone's aging father, suffering from Alzheimer's Disease; on Entourage, he was past-his-prime producer Bob Ryan. On the big screen, Landau memorably played star Jim Carrey's "father" Harry Trimble in the romantic comedy-drama The Majestic (2001). In the Romeo & Juliet Middle-East retelling of the story, David & Fatima (2008), Martin Landau played senior citizen Rabbi Schmulic, alongside actor Tony Curtis in his last non-documentary big-screen role. That same year, Landau became an octogenarian, and co-starred in the Christmas-themed senior romance movie Lovely, Still (2008) alongside Ellen Burstyn; once again, dementia and Alzheimer's Disease formed a theme in the movie. Martin Landau lived in West Hollywood, California and was working on his memoirs before his death. He taught acting at the Actors Studio West; some of his students included Jack Nicholson and Anjelica Huston. Landau's girlfriend - actress and screenwriter Gretchen Becker - appeared in several more movies with him after Firehead in 1991: Hollywood Homicide (2003), The Aryan Couple (2004), Finding Grandma (2010), and Mysteria (2011). In 2015 and nearing the end of his career, Martin Landau co-starred with fellow veteran actor Christopher Plummer in the Canadian-German holocaust survivor/modern day mystery-thriller Remember (2015). They play senior citizens in a nursing home, and Plummer suffers from dementia or Alzheimer's Disease, while Landau is his guide (a Simon Wiesenthal-inspired Nazi hunter) in the outside world, Max Rosenbaum. "So many of my peers have passed away, and those who are alive today don’t remember what they had for lunch half of them, so I’m really blessed in a certain sense. My short-term memory is pretty good, long-term memory is pretty good."